摘要 讨论如何在P2P内容分发系统中应用网络编码技术,结论是网络编码能简化P2P内容分发中的Piece Selection算法的复杂度,提高网络资源的利用率.但是,网络编码必须结合较好的NeighborSelection和Choking/Unchoking机制,否则,其优势将无从体现.同时,还详细描述在P2P内容分发中如何应用网络编码技术,并逐一讨论应用过程中所涉及到的主要问题.为了证明基于网络编码的P2P内容分发系统的可行性,在单机上实现主要的编、解码算法,分析其对系统资源的消耗.实验的结果是如果一个peer的上载速率为50KBps,则编码操作导致的CPU占用率为2.25%,相应的内存开销在20MB左右.这些数据说明网络编码的系统开销是较轻的,基于网络编码的P2P内容分发系统是完全可行的. Network coding is a field of information theory and coding theory and is a method of attaining maximum information flow in a network. Many researchers believe that network coding could help improve P2P network performance. But some other researchers still hold their views on this issue. 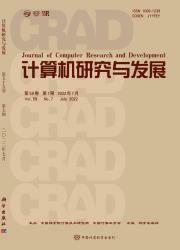 Discussed here is the application of network coding to PgP content distribution system. It is concluded that network coding can be used to reduce the complexity of the piece selection in P2P content distribution, and to increase the utilization of the network resource. However, without being combined with good neighbor selection and choking/unchoking, its advantage can not be realized. Meanwhile, how to apply network coding to the P2P content distribution system is presented in detail with further discussion about primary imple.mentation problems. To verify the feasibility of P2P content distribution system based on network coding, the main coding and decoding operation of network coding is implemented, and its system resource consumption is analyzed. Results are as follows： The coding operation consumes 2. 25% of the CPU resource and 20 MB of the memory resource while the upload rate is 50 KBps. It is indicated that the system consumption of network coding is relatively low, and it is completely feasible to apply network coding to the P2P content distribution.